Blessed Oscar Arnulfo Romero y Galdámez was a prominent Roman Catholic priest in El Salvador during the 1960s and 1970s and became Archbishop of San Salvador in 1977. After witnessing numerous violations of human rights, he began to speak out on behalf of the poor and the victims of repression. This led to numerous conflicts, both with the government in El Salvador and within the Catholic Church. 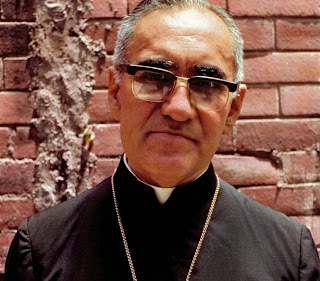 After speaking out against U.S. military support for the government of El Salvador, and calling for soldiers to disobey orders to fire on innocent civilians, Archbishop Romero was shot dead while celebrating Mass at the small chapel of the cancer hospital where he lived. Oscar Arnulfo Romero y Galdámez was born in Ciudad Barrios, El Salvador, on August 15, 1917. His father apprenticed him to a carpenter when he was 13, but the young Romero felt a vocation for the Catholic priesthood and left home the following year to enter the seminary. He studied in El Salvador and in Rome and was ordained in 1942. Romero spent the first two and half decades of his ministerial career as a parish priest and diocesan secretary in San Miguel. In 1970 he became auxiliary bishop of San Salvador and served in that position until 1974 when the Vatican named him to the diocese of Santiago de María, a poor, rural region which included his boyhood hometown. In 1977 he returned to the capital to succeed San Salvador’s aged metropolitan archbishop. Romero emerged almost as an outspoken opponent of injustice and defender of the poor. Increasing government violence against socially committed priests and laypersons undermined his trust in the good will of the authorities and led him to fear that the Church and religion themselves were under attack. The assassination on March 12, 1977, of his long-time friend Jesuit Father Rutilio Grande brought a stinging denunciation from Romero, who suspended masses in the capital’s churches the following Sunday and demanded the punishment of the responsible parties. He spoke out more and more frequently over the following months, he gathered an ever-increasing popular following who crowded into the cathedral to hear him preach or listened to his sermons over YSAX, the archdiocesan radio station. In a country whose rulers regarded dissent as subversion, Romero used the moral authority of his position as archbishop to speak out on behalf of those who could not do so for themselves. He soon came to be known as the “Voice of the Voiceless.” In February 1980 he addressed an open letter to U.S. President Jimmy Carter in which he called upon the United States to discontinue military aid to the regime. “We are fed up with weapons and bullets,” he pleaded. Romero’s campaign for human rights in El Salvador won him many national and international admirers as well as a Nobel Peace Prize nomination. It also won him enemies, however. On March 24, 1980, an assassin fired from the door of the chapel where Romero was celebrating mass and shot him dead. The archbishop had foreseen the danger of assassination and had spoken of it often, declaring his willingness to accept martyrdom if his blood might contribute to the solution of the nation’s problems. “As a Christian,” he remarked on one such occasion, “I do not believe in death without resurrection. If they kill me, I shall rise again in the Salvadoran people.” In 1990, on the tenth anniversary of the assassination, the sitting prelate archbishop of San Salvador, Msgr. Arturo Rivera, appointed a postulator to prepare documentation for a cause of beatification and canonization of Romero. The documents were formally accepted by Pope John Paul II and the Congregation for the Causes of Saints in 1997, and Romero was given the title of “Servant of God”. In December 2012 Pope Benedict XVI informed Archbishop Paglia that he had decided to “unblock” the cause and allow it to move forward. 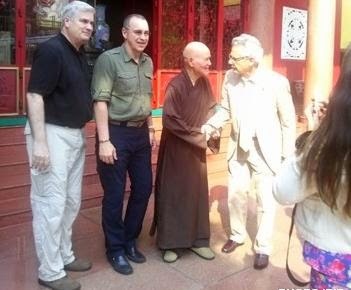 “Religious freedom is the key to democratization in Vietnam” – Thich Quang Do PARIS, 7 May 2015 (VCHR) – On Monday 4th May, a delegation of members of the U.S. Congress visited Thich Quang Do, prominent dissident and Patriarch of the outlawed Unified Buddhist Church of Vietnam (UBCV) at the Thanh Minh Zen Monastery in Saigon (Ho Chi Minh City) where he has been held under house arrest without charge since 2003. The 11-member delegation was led by Congressman Matt Salmon (Republican), Chairman of the Asia Pacific Sub-Committee of the Foreign Affairs Committee of the House of Representatives (HFAC), Congressman Tom Emmer (Republican) and Congressman Alan Lowenthal (Democrat). They were accompanied by Mr Charles Sellers, Political Section Chief of the U.S. Consulate General in Ho Chi Minh City and a number of staff and assistants. In his remarks to the U.S. delegation, Thich Quang Do, 87, who has spent the past three decades in internal exile, prison and house arrest for his advocacy of religious freedom, democracy and human rights, welcomed their visit: “For someone like me who has spent so many years in detention, your visit has a very deep significance. It not only comforts me to know that I am not forgotten, but it also sends a very strong message to the Vietnamese authorities. They have kept me under house arrest, isolated and deprived of all basic freedoms, in the aim of silencing my voice. Your visit here today tells them clearly that they have failed”. Commenting on U.S.-Vietnam relations, which were normalized just 20 years ago, Thich Quang Do noted that, 40 years after the end of the Vietnam War, these relations remained complex. “They hold great opportunities but also many challenges”, he said.However, the UBCV Patriarch expressed his firm belief that “this is a crucial moment in our two countries’ relationship, one where the United States can truly make a difference. “Asia is a central focus of U.S. foreign policy. As Vietnam seeks to play a greater role on the regional and international stage, it needs the support of the United States and the Trans-Pacific Partnership (TPP) to boost its slowing economy. The Communist leadership hopes it can do this without making political reforms – they claim they are “building democracy within the one-Party state”. But this policy of economic liberalization without political reforms is disastrous, resulting in alarming social inequalities and wealth disparity. Without democracy, pluralism and human rights, we can never build a just, safe and peaceful society for Vietnam. “I believe that the United States has real leverage to help put Vietnam on the path of reform. By maintaining human rights as a cornerstone of U.S. engagement, you can impress upon the Vietnamese leadership that they cannot enjoy full economic relationships whilst suppressing their citizens’ basic rights”, he told the delegation. The Buddhist Patriarch stressed the importance of religious freedom in Vietnam, not only as a basic human right, but also as “the key to democratization in Vietnam”. He applauded the report issued by the U.S. Commission on International Religious Freedom (USCIRF) last week, and their recommendation that Vietnam be designated as a “Country of Particular Concern” by the United States for egregious violations of religious freedom. “I believe that United States’ support for religious freedom in Vietnam in general, and for Buddhism in particular, can have a deep and lasting impact in our region. In this era of global terrorism, where religious extremism is at the core of so many conflicts, the presence of a peaceful, tolerant philosophy such as Buddhism can contribute immensely to maintaining stability and harmony in the Asia-Pacific region”. Thich Quang Do introduced the delegation to Le Cong Cau, leader of the UBCV-affiliated Budddhist Youth Movement and UBCV Secretary-general, who had come from Hue to join the meeting. Le Cong Cau gave a brief overview of three phases of government repression against the UBCV over the past 40 years. Beginning in 1975 with a brutal suppression campaign against the UBCV and the detention and murder of many UBCV leaders, Vietnam then sought to bring Buddhism under state control by setting up the State-sponsored “Vietnam Buddhist Sangha” in 1981 to supplant the UBCV. The third and current phase of repression, explained Le Cong Cau, entails a more subtle and sophisticated policy of infiltrating the UBCV in order to “divide to rule” and isolating UBCV leaders, whilst using Police intimidation to create a pervasive climate of fear, threatening Buddhists with losing their jobs or having their children expelled from school if they follow the UBCV. The U.S. delegation asked Le Cong Cau for the UBCV’s opinion on the draft “Law on Belief and Religion” currently circulated by the Government Board of Religious Affairs to canvass the opinion of religious groups. He replied: “This new draft law brings no improvements. The Vietnamese authorities are hostile to religions. They recognize that religion abd belief are inevitable components of the people’s psyche, but they are afraid that religious movements could challenge the Communist Party’s authority. The current regime will never allow true religious freedom in Vietnam”. PARIS, 20.04.2015 (IBIB) – The International Buddhist Information Bureau (IBIB) received an appeal today from Le Cong Cau, Head of the Buddhist Youth Movement and Secretary-general of the Unified Buddhist Church of Vietnam (UBCV). He reports that Security Police broke into his home in Hue, harassed and threatened him, and confiscated his scanner and other property. Le Cong Cau called on IBIB to inform international opinion and press Vietnam to cease harassments of citizens for simply exercising their right to freedom of religion or belief. On 10 April 2015 at 8:00am, a large group of security police and local officials suddenly arrived at his home and read out a “Property Seizure Order” No. 2153/QD/CC signed by Nguyen Van Thong, Chairman of the Huong Thuy district People’s Committee. They said they were mandated to confiscate his property because he had failed to pay a fine of 3 million dongs (approx. 120 Euros) issued by the People’s Committee on 29 March 2014. Police pushed Le Cong Cau against the wall whilst others ransacked his belongings. They seized a scanner and a stereo recorder. Le Cong Cau strongly protested against the intrusion. He told Police he refused to pay the fine because it was unlawful and unfair. In fact, the fine was an administrative sanction imposed after Police arrested him on 1st January 2014 at Phu Bai airport, Hue, as he was boarding a plane to Saigon to visit the UBCV Patriarch Thich Quang Do. Police accused him of circulating “anti-Socialist” propaganda and threatened to prosecute him under Articles 87 and 88 of the Criminal Code, which carry sentences of up to 20 years in prison. They confiscated his two laptop computers and two cell phones, and placed him under house arrest pending investigation. Since there was no incriminating evidence, the Huong Thuy People’s Committee (which has jurisdiction for Phu Bai airport) did not initiate criminal sanctions, but condemned him to pay an administrative fine. On 29 May 2014, Le Cong Cau wrote to the Hue People’s Committee protesting against the fine, and demanding that he be released from house arrest. Under Vietnam’s Complaints Procedure, the authorities must address citizens’ complaints within 60 days. Le Cong Cau never received a reply. PARIS, 27.2.2015 (IBIB) – The International Buddhist Information Bureau is deeply grieved to announce that Most Venerable Thich Nhu Dat, Deputy leader of the Unified Buddhist Church of Vietnam (UBCV) and Head of the UBCV’s Executive Institute Viện Hóa Đạo, passed away at Long Quang Pagoda in Hue on Thursday 26 February 2015. He suffered from stomach cancer and had been seriously ill over the past three months. Thich Nhu Dat was 86 years old. Appointed UBCV Deputy leader in December 2013, just over one year ago, Thich Nhu Dat was a much-loved and respected spiritual figure, revered by Buddhists both in the UBCV and State-sponsored organizations, especially in Hue and central Vietnam. The Long Quang Pagoda on the banks of the Perfume River, where he was Superior monk, was the UBCV Secretariat, and an active centre of spiritual, educational and humanitarian activities, providing particular support for the UBCV Buddhist Youth Movement (Gia Đình Phật tử Việt Nam). Although he was not well known internationally, Thich Nhu Dat was one of the most stalwart supporters of the movement for religious freedom and human rights led by UBCV leader Thich Quang Do. Born in Binh Dinh in 1929, a monk since his early age and an adept of martial arts, he was well known for his simplicity and straightforward speaking, and did not hesitate to confront the authorities on issues of religious autonomy and state persecution. As such, he was a target of unabated government repression. In January 2014, when he organized the celebration of Buddhist Memorial Day, his first event as UBCV Deputy leader, over 100 Security Police surrounded the Long Quang Pagoda, blocked all road access and intercepted UBCV Buddhists at the local airport and train station. 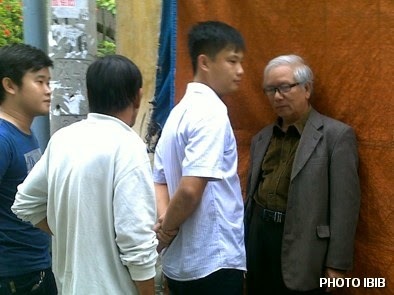 Over 100 members of the UBCV Buddhist Youth Movement were placed under house arrest. In July 2014, Thich Nhu Dat attended the meeting with the UN Special Rapporteur on Freedom of Religion or Belief, Heiner Bielefeldt, and Thich Quang Do at the Thanh Minh Zen Monastery in Saigon (Ho Chi Minh City) to brief the UN expert on government restrictions on the UBCV. Shortly before his death, from his hospital bed in Saigon, he asked the International Buddhist Information Bureau to record an audio message addressed to Vietnamese Buddhists overseas. He urged them to develop Buddhist virtues of compassion, tolerance and wisdom, and support Thich Quang Do’s efforts for religious freedom and human rights in Vietnam. 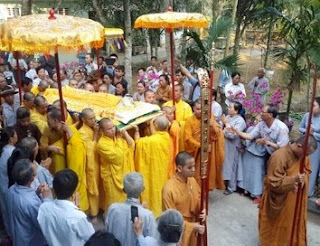 The UBCV in Hue reports that the funeral ceremony of Thich Nhu Dat at the Long Quang Pagoda in Hue at 8.00am today was attended by 200 monks and nuns and almost 1,000 Buddhists, despite strong Police presence. A number of UBCV dignitaries from the provinces were intercepted at airports and banned from travelling. UBCV Supreme Patriarch Thich Quang Do was denied the right to travel to Hue. He tried to book a flight, but was refused because he has no identity card. Thich Quang Do has been denied citizenship rights since he was sent into internal exile in Vu Doai, northern Vietnam in 1982 and subsequently placed under house arrest in Saigon. Thich Nhu Dat’s coffin will remain at the Long Quang Pagoda to enable Buddhists to pay their last respects. The burial ceremony will take place on 3 March 2015.
International Lutheran Church Pastor Chuck Hoffman has interviewed with the Global Digest on February 8, 2015. 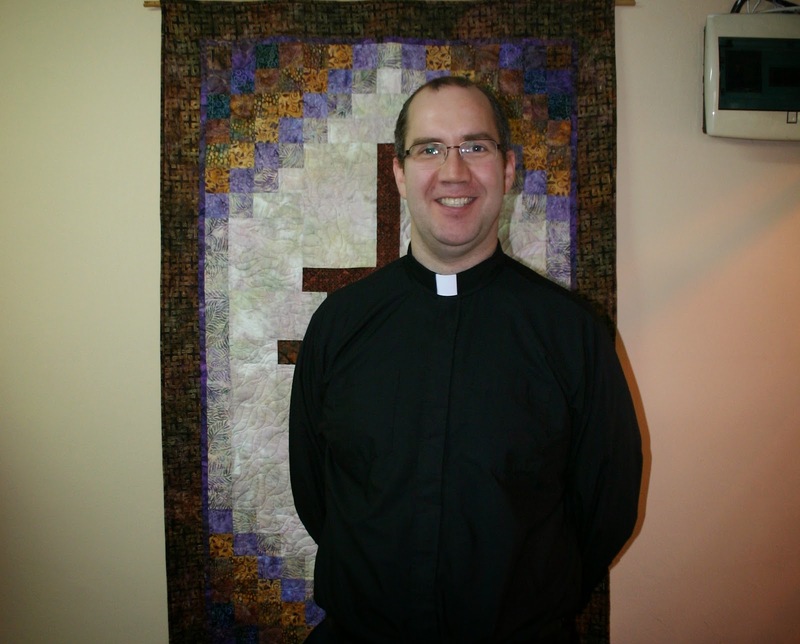 A 35 year old Pastor Chuck came to Seoul on August 2014, to start his ministry at International Lutheran Church. Before that he served as a pastor at Saint Mark Lutheran Elko, Nowrado for 3 years; and he was studied MDiv at Seminary from 2007 to 2011; and he was a volunteer in Taiwan for 3 years, where he met his wife. He graduated with BA in History from Michigan State University. He is a Switzerland descendant, with German-Swiss background, though his last name Hoffman is a German name. Pastor Chuck feels no problem of weather in Seoul, in fact, he prefers a fall season. Pastor Chuck views South Korea has religious freedom, and improves in freedom of speech, and open country. Culture is mostly difficult for him, it’s still improving compare to 2002 when he saw things in now changes, more openness, polite, friendly and interesting Koran people. However, Pastor Chuck feel drinking can be still a problem of Korean culture, it is not a healthy way, and created other social problems, he lamented. According to Lutheran church, there is no restriction on drinking. Pastor Chuck explained Lutheran is a German culture, so German people are OK with beer and wine. Lutheran theology is composed of 3 solas, Scripture alone, Faith alone and Grace alone. Lutheran looks similar to Catholic church, they retained traditional worship service from Christian heritage since 2000 years ago. Martin Luther is one of the first major reformists, his followers are called Lutheran. Pastor Chuck repeats that Christian has instituted morality and ethic. Church allowed to have only one wife and discouraged them from divorced, even people did wrong things, but there is no such kind of cancelation from church membership. Lutheran and Calvinist disagree on certain things. Lutheran is not involved in politics, Pastor Chuck clarified. International Lutheran Church members are mostly English teachers and a bunch of Korean attendees, Pastor Chuck expressed. So, he is thinking to go for ministry in US bases. His church is also doing local ministry and other ministry activity. 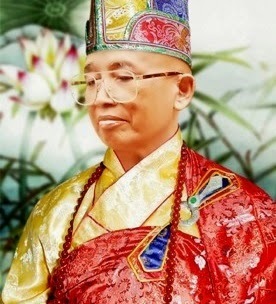 He is interested to do ministry among Buddhist country, e.g. in Myanmar and to help poor people. Pastor Chuck’s mother had been went to Myanmar part of medical missionary in 2006 as she is a nurse, along with other Christian groups, including doctors and dentists, and they shared the gospel. Pastor Chuck informs the Global Digest, president of the Lutheran Church in Korean visited Myanmar for ministry activity as well. International Lutheran Church is independent church and English language service, so it demands a native English speaking Pastor, Pastor Chuck mentioned. International Lutheran Church has 5 regular board members and approximately 8 committee members, they are directly elected from congregation. He has briefly conversation with his predecessor Pastor Steven on phone. Actually International Lutheran Church is started with US military personnel and built current church under instruction of the Lutheran Church—Missouri Synod (LCMS). Till today, International Lutheran Church is cosponsored by LC MS with the Lutheran Church in Korea (LCK) . It is known that the Lutheran Church in Korea has approximately 50 Churches and 5000 members in South Korea. LCMS has 2 million members in US. Usually, missionary sender is from US and they control overseas mission activity, later those mission churches become independent churches. Nowadays, US and oversea mission Lutheran churches still cooperated such as sending a missionary, and study in America and so on. POPE FRANCIS VISITS THE DEVASTATED PHILIPPINES AND BRINGS MERCY AND COMPASSION TO THE VICTIMS OF DISASTERS? ANSAN, South Korea - The leader of Roman Catholic church and a Bishop of Rome, Pope Francis visited the Philippines which was devastated, first by the series of horrific typhoons and then political war and dynasty and corruption. He came not for the nation but for the poor and oppressed who were affected by the worst hurricane that hit the Leyte province and nearby towns and provinces. 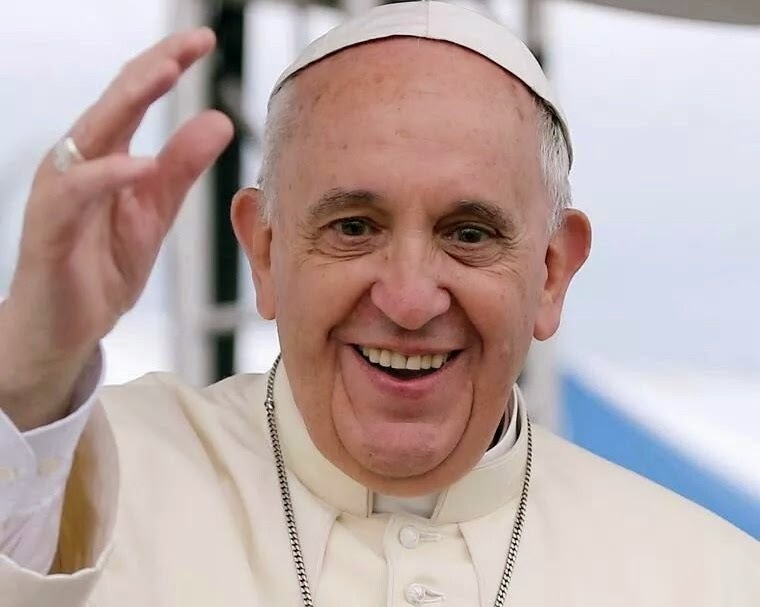 According to the reports, the Peoples’ Pope brings hope, mercy and compassion to the hopeless, homeless and the poorest people of society especially children who suffered starvation in remote areas where poverty is undying. Millions of Filipinos have welcomed the Pope when he arrived at Villamor Air Base on January 15, 2015 who showed his great humility by saying “ It is Jesus Christ who will come not me” he said to Cardinal Tagle, the head of the Filipino priests. “Pope Francis is really God’s sent,” Edna Tayo said, a netizen in Social Media. Tagged as the ”Pope of the poor” and loved by the Filipino devotees, Pope Francis went to Tacloban Leyte after giving a Papal Mass in Quirino Grandstand in Manila where millions of supporters attended. He was suffering and speechless when he heard the stories of hurricane Yolanda’s survivors. Despite the stormy weather the Pope held mass in Tacloban where most poor and hungry people can be found and still living in temporary tents after the tragedy on November 2013. This is also the first time that the Pope held mass in Tacloban City, Leyte Philippines amid having rain and storms. On the contrary, the activists and other social media groups condemned President Aquino for a shameful remarks during his speech about the catholic church leaders who supported former president and now hospital arrest Arroyo. ”The president’s inappropriate message is shameful compared to worthy message and meritorious presence of Pope,” an activist group leader said. Moreover, millions of Filipinos across the globe watched before and after the arrival of compassionate Pope of the people as he strongly expressed his appreciation for the Filipino’ faith and devotion amid of series of disasters devastated the poor nation and urging the Philippine government and political leaders to serve the people with fair and just and incorruptibility. Also, His Holiness expressed his sympathy to Yolanda survivors and said “ some of you lost part of your families, all i can do is keep silent, and i walk with you all with my silent heart.” He shows his compassion to the people in agony who lost their families during the disasters more than a year ago in a poor province in Central Visayas which almost 10,000 were killed and missing. In a telecast Papal mass held in Tacloban City, the Vatican's Pope shared messages to the survivors and believers on how Jesus is Lord who does not allow his people down. Pope Francis as a messenger of God showed his humility by telling people about the Lord' s mercy amid stormy weather he was able to show them how much Jesus Christ loves the poor, children and the helpless. Some reports the penman heard about the good Pope is when he sees sick people and children, he stopped and greet them. He also showed his great humility when he called his Filipino janitor and talked with him personally and he is now the Pope's guardhouse. May the visit and prayer of Pope Francis will open the hearts and minds of our government to decline corruption and serve the Filipino people with honesty and integrity above all with fear in God. Just recently, Glyzelle Palomar, a former street kid, 12 yeat old girl, wept in the presence of Pope Francis and told her story and asking him “ Why would God allow these things?” the Pope hugged her as he intently listened the poor child. The world knows how the millions of Filipinos suffered poverty for more than three decades from the hands of nation’s greedy and corrupt leaders, they live in luxurios life and become wealthy while the poor Filipinos and children have become poorer and others starving to death for lack of foods and employment, today more than 9 million Overseas Filipino aWorkers (OFWs) are working in overseas countries to avoid poverty they are facing so they can give a decent life to their families by which our government cannot neither our leaders nor corrupt politicians. Pope Francis surely knows what is happening to the poor and the oppressed in the Philippines that is the reason why he visited the survivors of disasters to bring Mercy, Compassion and Hope to the hopeless. “Blessed are the poor for the Kingdom of Heaven is yours.” the Bible says. Again, Pope Francis was sent to the Philippines as a messenger of God to restore the devastated nation, first from the natural disasters and second from the continuous corruption which ruined the country. Today, our political leaders' hearts are far away from the poorest of society even the huge aids of more than 40 allied nations were not properly distributed and can be used in the coming and useless 2016 election where the winners will only be corrupt and wealthy and only become plunderers. Do we need Politicians-our Nagar Sevaks to handle Religion, culture and home coming narration called `Ghar Wapse` ? Greed for short cuts and power by those who do not deserve it is delivering violence and provoking words. We do not need a spacecraft and a remote with eyes of an alien to see how the religion is misused by `Netas`. Politicians fail to put Religion for people and not for profit. Two hot issues flooded Indian media at the fag end of 2014. First is the `Ghar Wapse` action plan of Modi Brigade. Second is the agitation against the success of new blockbuster Bollywood film PK. Both these events has a common spark- a hunger for real religion and the business of religion. No modern country and its alert people will allow their elected leaders or `Nagar Sevaks` to work for a religion expansion or religion monitoring. People need roads and jobs and want religion to be left as private and personnel affair. `Nagar Sevaks` are elected to serve the masters by running the country and distributing wealth generated by fair laws. `Ghar Wapse` tag of re-conversion in India as launched by Modi Team is generating hatred for minority, blocking development and dividing people. Why jobs of religious heads should is swapped by politicians? These are the same set of Modi Brigade who are violent against the release of a Bollywood Movey-PK of Amir Khan that exposes the shops of Religion. Same set of Hindu Talibans want to build Nathu Ram Godse temples on 30th.Januuray-2015. Double Talk on Ghar Wapsi Politics for Votes : Modi Team`s argument is-"BJP is using the same methods which have been used to convert Hindus into Islam or Christianity ". Provoking taunts are used for moderate Hindus as to what were they doing when the Hindus in the past were getting converted. Another announcement of team Modi is that they shall continue to re-convert one Lac Christians and Muslims each year. Modi`s team claim is they are not using force for conversion and what they are doing is in line with constitution of India which allows to promote and adopt a religion of choice. Another claim in Public of Modi team is that BJP is not converting anyone. What these `intelligent` politicians fail to tell Indians that they failed to remove poverty and provide jobs and dignified work to all Indians as per the constitution. Patel the Iron Man of India arrested thousands of RSS cadres after the murder of Mahatma Gandhi. All such trouble mongers spreading poison were put in Jail. Will PM-Modi do it appears difficult. Why are religious heads not standing tall to promote religion? Instead of dignified honour to `pundits` or religious heads what the `spoilt tradition` does today is to invite occasionally a strange person called priest to help with magical mantras and rituals having no links with process of team connected productive work. Aacha Din Kab Aaenge ?-When will good times come for correct participation and holistic religious promotion ? 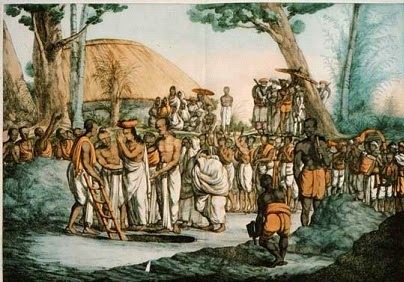 Above picture of feudal era shows gurus or priest guiding villagers to identify spot to dig a well. Religious heads here instead of Politicians are supposed to promote the religion freely but never by force or by cheating or by promising BPL or Ration cards. Today the weak religion space is grabbed and misused by politicians to make their space more powerful. Sad fact is that several Religious leaders have joined politics and practise both. 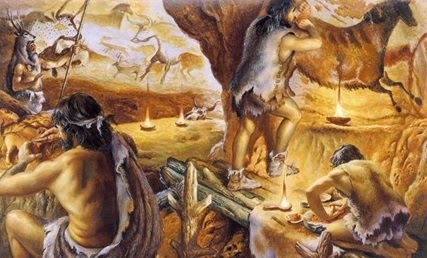 This is the early man illustration showing team work headed by spiritual leaders was essential. `Zero-start` society was replaced by continuing society bloomed by accumulation of experiences and conected together by Religious heads. Capacity builders called gurus and priest in past were infact the `business` trainers to keep the jobs in the team connected to excel in military training and civil works. Today in the human capital intensive environment the hired pundits are given money with no permanent holistic jobs.After few hours of team celebration and prayers they are send back or left for hunting more booty. Unorganised and delinked production today continues with no respect for a team work connectivity. Home Sharing and Home Coming decisions cannot be allowed to be taken by our `Modi brand` leaders who cheat voters by double talk. Real Religious heads need to wake up for a better India to retain their respectable roles to promote and protect the religion with honesty. Politicians must stop tempering, twisting and swapping `Ghar Wapai` natural concept for better humanity. (About Author : Has worked in India and several countries and is now monitoring the historical peoples movement for a Swaraj.) Written in Public Interest : Rakesh Manchanda,B-5,Gharonda Apartments, Shrestha Vihar,Delhi-92. Phone:011-22145369,+91-9953540829,email:rakeshmanchanda65@gmail.com.